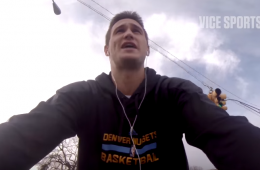 Denver Nuggets forward Danilo Gallinari takes Vice Sports on a ride along with his new bicycle, through the streets of Colorado. 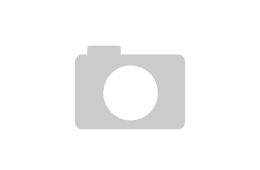 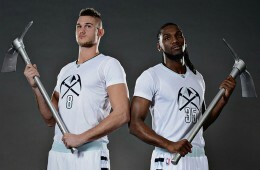 The Denver Nuggets WHITEGOLD Uniforms have already made their debut, but expect to see them a few more times this season. 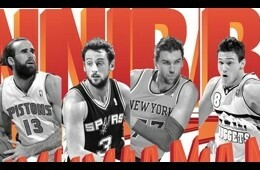 In a ABA-esque high scoring thriller between the Mavericks and Nuggets. 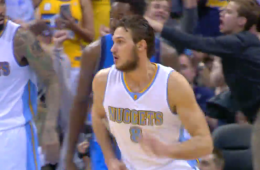 Danilo Gallinari went off for a career-high 47 points in a double-overtime loss. 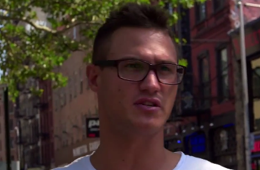 Danilo Gallinari discusses his long layoff with the Denver Nuggets due to an ACL injury and being a NYC restaurateur with Vice Sports.